Everyone can get upset after experiencing the hair loss as it is problem that not only dents the outer look of the person but also makes the person feel less confident along with low self-esteem. Thus, it is obvious everyone seeks for the remedial approach to restore his crown glory with optimized outcomes and low expense. 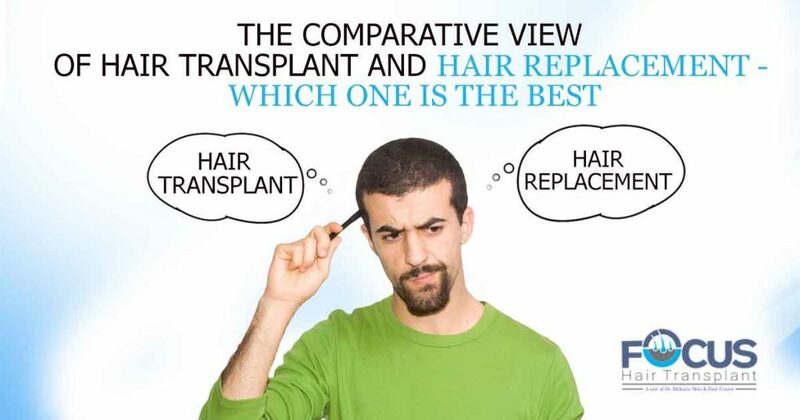 In the recent researches, it has come in front that while choosing to restore hair people remain confused about the term hair transplant and hair replacement, so let us understand the difference between both terms by knowing both the systems individually so that we could know which one is the best suitable option for hair restoration. 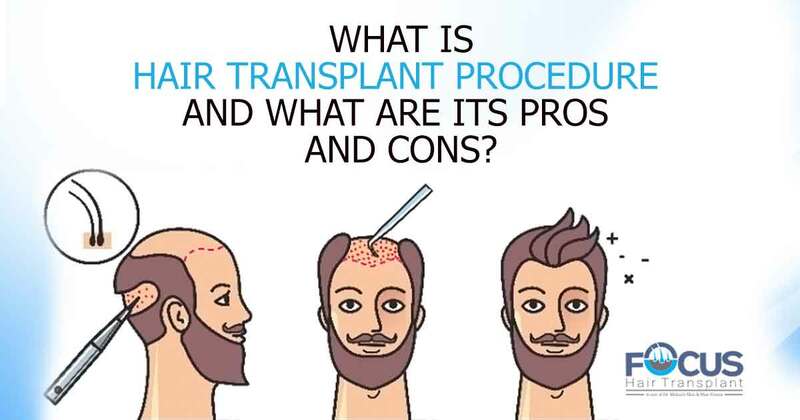 What is Hair Transplant Procedure and what are its pros and cons? Hair transplant in India is the rapidly growing and widely accepted procedure for hair restoration. It is the surgical procedure which is based on the basic principle that the hair follicles can grow with retained properties even after their shifting from one safer zone of the scalp to the other bald zone of the scalp. This procedure has been performed under the local anesthesia so that patient could have painless and comfortable treatment. This procedure is customized depending on the extent of hair loss, availability of the donor hair follicles, the method used for surgery and according to the realistic expectations of the patient. During the surgery loss resistant and healthy follicles are selected from the safe zone called donor area of the scalp as per the availability of the follicles in that area and then these follicles are extracted without causing any damage to the scalp and the surrounding tissue. Then the extracted follicles are transplanted in the recipient areas in the exact direction, angle, and distance and at adequate depth so that patient could have the natural appearance after the surgery. All above risks can be prevented if you will choose the best certified and experienced surgeon for your hair transplant as the best surgeon can utilize his best experience and knowledge along with artistic skills to prevent the potential risks like scarring, pain, and bleeding and even can give you the natural, undetectable and lifetime results. 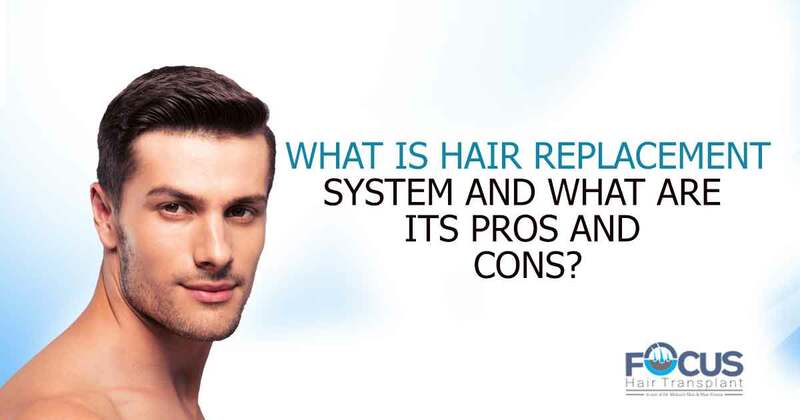 What is Hair replacement system and what are its pros and cons? Hair replacement in India is quite common among the people who have their personal reasons for not choosing the surgical restoration like budget or fear of surgery. This system is also very effective non-surgical option to get the hair as per your desires. If you are thinking about the old-fashioned toupees or wigs as the hair replacement then you are wrong as these days hair replacement system has changed in many ways like material, appearance, natural and even in the terms of designing. In the earlier days your hair replacement can be spotted easily by anyone but these days no one can distinguish it as the hair are given as per the exact match and suitability to the face of the person. In this system synthetic hair that mimics the natural hair is attached to the scalp by weaving, fusion, beading, boding or cabling with the waterproof adhesives. A person can opt for any style or color as per the recommendation of hair technician and personal choice. A person has the option to choose the hair of any color, style, density, texture and even of any length according to suitability on his face. There is no need for a donor’s hair and even this system can be preferred if a person has progressive hair loss. It is a cost-effective way as hair replacement cost is lower than hair transplantation cost. Both the systems have discussed above along with their positive and negative aspects so one can be clear about some facts for both the methods that we are comparing surgical and non surgical methods so choosing the best can be completely depended on the personal choice and preference of the person who needs hair restoration as some person like to have permanent and naturally growing hair so they choose the hair transplant but in hair replacement the person can get synthetic hair which does not grow and are artificial in nature. Hair transplant is the ideal option if the person has stabilized and abrupt hair loss as this method can restore his hair for a lifetime. On the other hand, hair replacement is basically for the people who have fear of surgery or want to restore their budget in the lesser budget and are having temporary and progressive hair loss. All in all, People who are ready to pay, wait and to take the potential risks of the surgery for them surgical hair restoration is the best option as it is the only method which can give naturally growing hair for a lifetime.